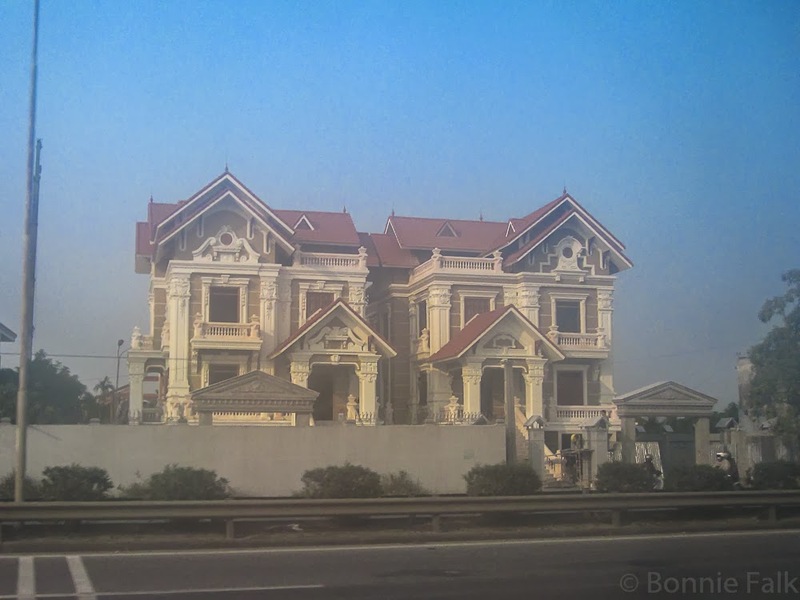 It was the drive from Ha Long City back to Haiphong where I was most struck by the beautiful architecture. This is when I really started taking pictures. 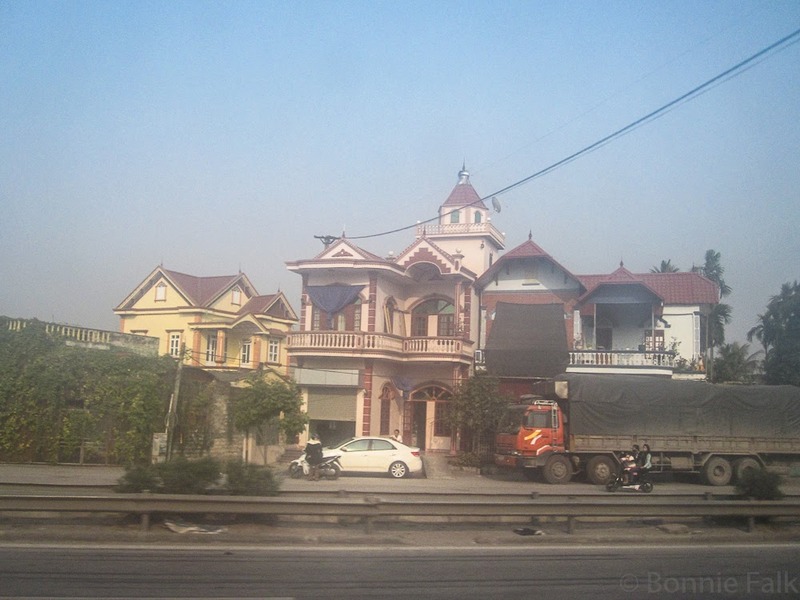 Which became awkward because the windows of the train from Haiphong to Hanoi were very foggy. This post will be filled with foggy photos. Sorry. Oh yeah, we took a train! This was partially inspired by Top Gear and also our love for trains. It was also the first time we were not surrounded by tourists! I think I saw one white guy in the station and the rest were locals. Awesome. 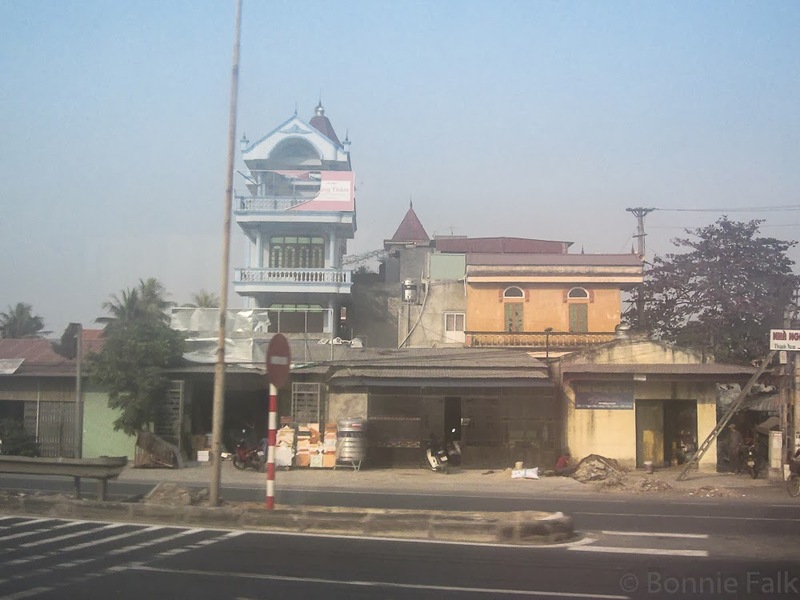 The back of Ga Hai Phong (train station). At first when we got dropped off, the station was all locked up so we were concerned. Our driver spoke no English but his boss called us and told us just to wait for about an hour and then we could buy tickets. He was right. The station just closed for a long lunch break. 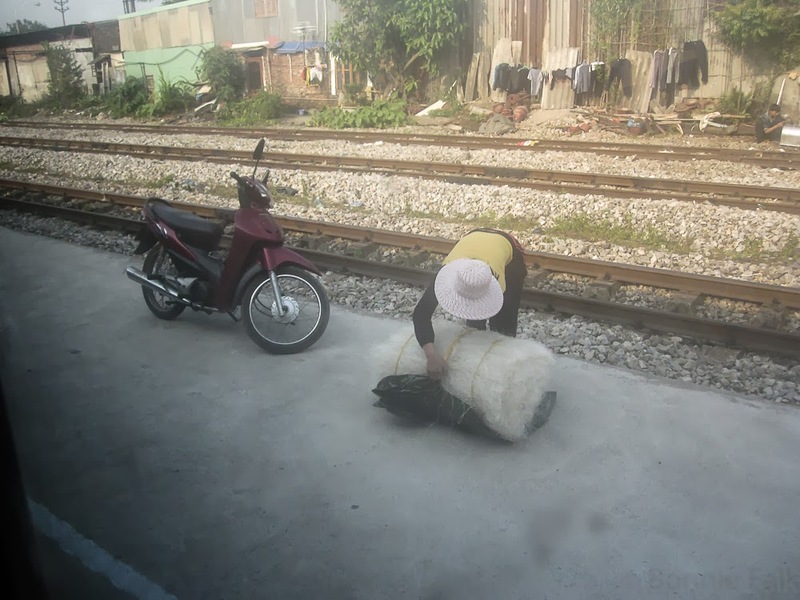 A pick-up of rice noodles along the way. 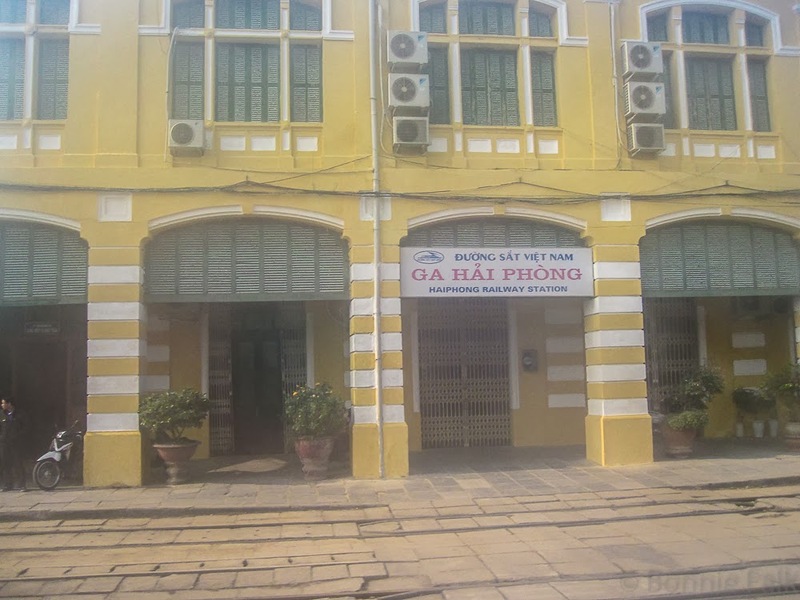 Our hotel in Hanoi was just a couple of blocks from the Ga Long Bein stop so we walked with our luggage. We checked in to the Tu Linh Legend Hotel in the Old Quarter and the staff were AMAZING!!! We got the seventh floor all to ourselves. It was a huge room. I'm not going to go into a whole review here (I will on TripAdvisor though) but please, if you're going to Hanoi, stay here, it is phenomenal. 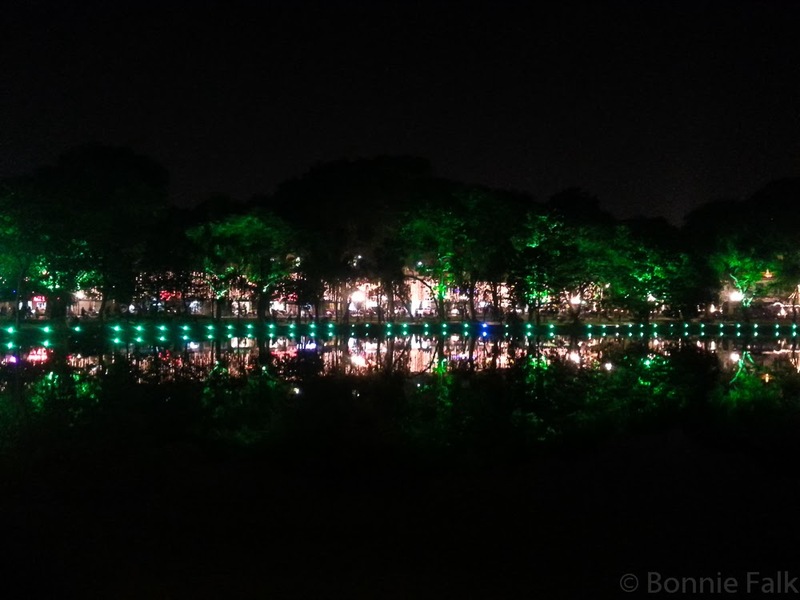 After a delicious dinner (recommended by the hotel staff) we wandered out to Hoàn Kiếm Lake to see what there was to see. The lake. Oh. My. Gosh. It was so pretty at night!